While this is quite immodest for an 18th-century lady, as she is only wearing her underwear, it is more accurate than her previous attire. Headless is wearing a shift, stays, a pocket, and an underpetticoat. The shift would be worn closest to the body, to protect her clothes from her bodily oils, and would serve as both underwear and nightgown. The stays come next, to give her body the proper conical shape and to support the layers of clothing on top. Headless’s stays were hand-sewn by one of our volunteers using materials and techniques straight out of the 1700’s. Headless’s pocket is tied on over her stays; it would not usually show over her petticoat, but I wanted you to be able to see it in its silken, hand-sewn glory. 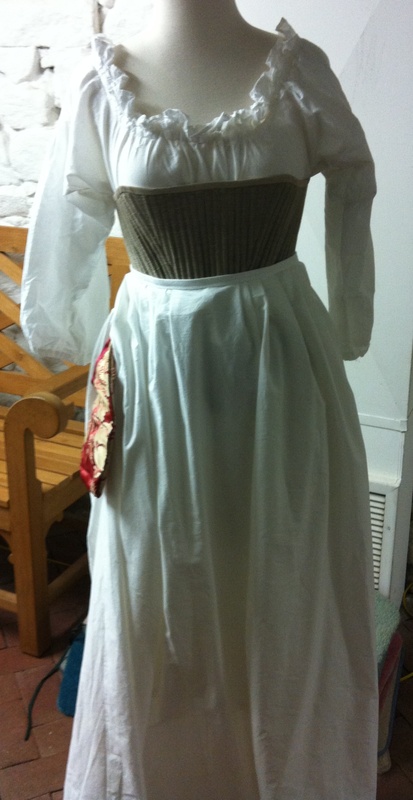 I made it myself, and it’s pretty rare for me to sew anything by hand… Finally, Headless has on an underpetticoat so that her skirts will have the appropriate volume. 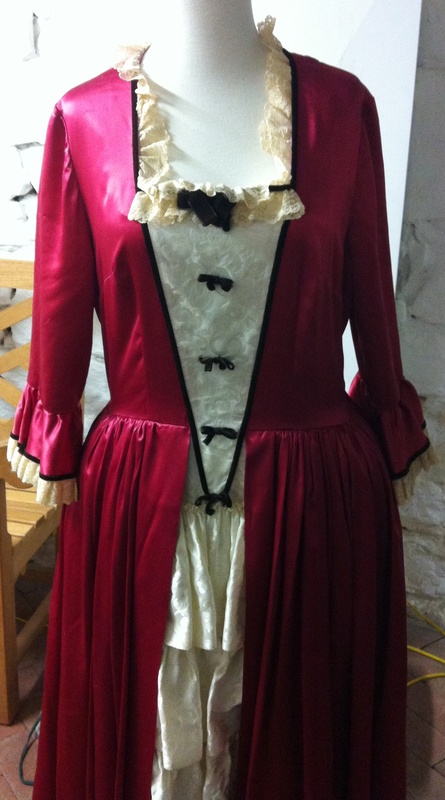 I have more plans for Headless’s wardrobe, so maybe someday she’ll be wearing more than just 18th century underwear! Friday Photo: Wait, It’s a Video! The exhibit House & Home is opening at the National Building Museum in Washington, DC on April 28. A pianoforte and fire bucket from Hammond-Harwood House are featured in the exhibition, and I can’t wait to go visit them in their temporary home. Until the 28th, I just have to content myself with watching the charming video they’ve made to promote the exhibit.